Are you Dauntless? Fans will love this soft silicone bracelet from the highly anticipated movie based on Veronica Roth’s best-selling book. 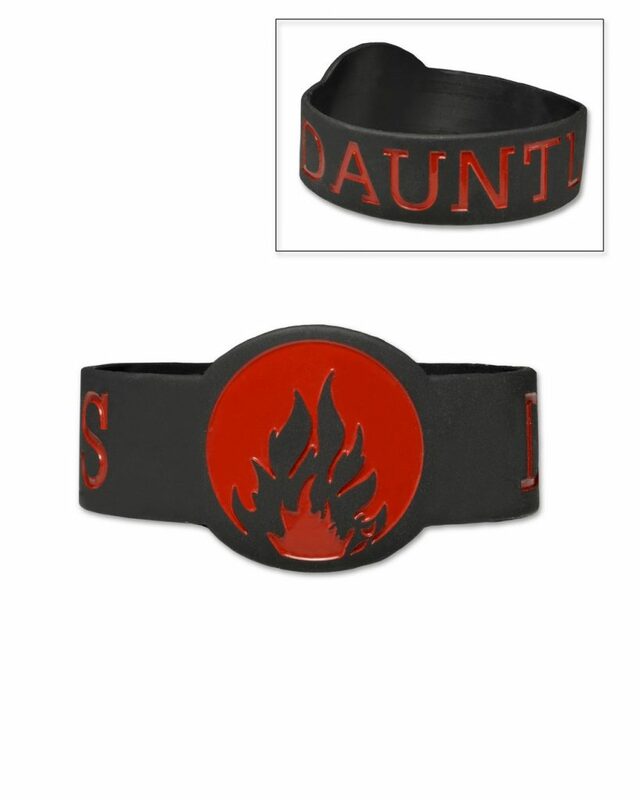 The black band features the Dauntless name and faction symbol in red. Band measures 1.5″ at its widest point and stretches to fit most wrists. Durable and comfortable, so you can wear it everywhere!